A simple yet stylish black ceramic plant pot with saucer for large indoor plants. Matt finish. 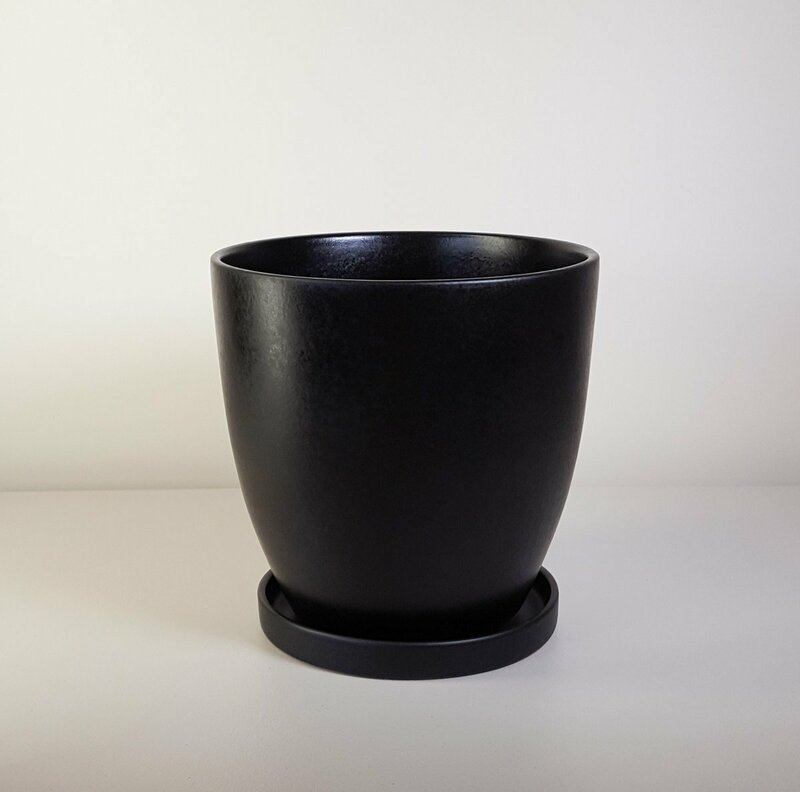 Pot dimensions: 31cm diameter x 30cm tall.